Star has been doing creative photography most of her life. Growing up in NYC presented her with great visual opportunities on every corner. She began her formal photography training in high school. She then went out west to Arizona to study photography at Arizona State University and ultimately gained a degree in Fine Art & Photography. Star has also studied at the Corcoran College of Art & Design, as well as Glen Echo Park Arts & Cultural Center. Her work has been showcased in several exhibits including the Tartt Gallery in Washington, DC and the Art League Gallery at the Torpedo Factory in Alexandria, VA. In addition, she has done various freelance projects for publications including City Paper in Washington, DC. Her other experience includes working as a Staff Photographer for the world-renowned Kirov Academy of Ballet in Washington, DC. For over ten years she was the owner of a successful portrait photography business, specializing in black & white hand-tinted portraits of children. After her portrait business, she developed a body of fine art work which she exhibited and sold at craft shows. Presently, she is combining her passions: cats and photography through her Volunteer work at several rescues and shelters, photographing the cats for their website pictures to help them find their forever homes. 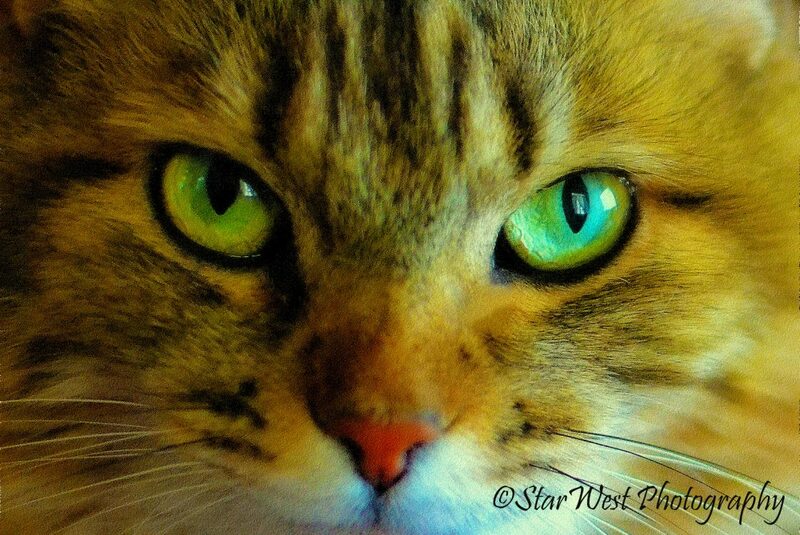 She has a gift for capturing the essence, beauty, and soul of cats and all animals. Love your cat pictures. I am also a lover of all cats big and small.